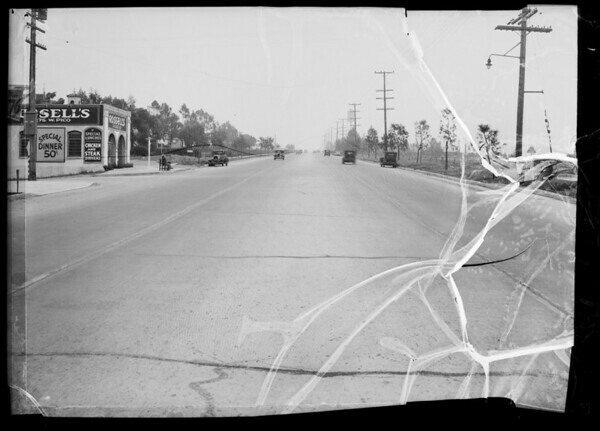 Photograph of intersection of West Pico Boulevard and Fox Hills Drive, Los Angeles, CA, 1936. "Russell's Studio Inn; Special Dinner 50¢; Special Lunches, chicken and steak dinners" -- building signage. "453" -- on mailbox. "76" -- on sign.